ANOTHER PRIME PANTRY SCENARIO -- ZIPLOC BAGS! ANOTHER PRIME PANTRY SCENARIO — ZIPLOC BAGS! 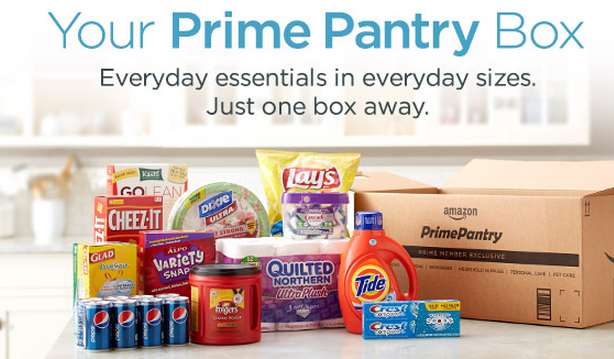 Amazon Prime Pantry is offering a free 30-day trial membership and $10 off a $40 purchase for new Prime Pantry members with the code PANTRY at checkout! Plus you can get a free box of Honey Nut Cheerios with a $40 Prime Pantry purchase! (Just add to cart once you have $40 worth). = YOU PAY JUST $19.11 Shipped for all 7 items!! Amazon Pantry — also known as Prime Pantry — is a grocery-shopping style experience on Amazon.com available exclusive to Amazon Prime members. The Amazon Pantry store features grocery and household items, often at a discount and with coupons available. You can do your Prime Pantry shopping all at once, or over the course of several days. Previously, customers paid $5.99 for each Prime Pantry box sent to their house and you had to fill a box as much as possible to get your shipping money’s worth. Now, there are two new options to cover the cost of shipping: pay $7.99 shipping for your order, no matter how many boxes it comes in, or pay $4.99 per month to get unlimited FREE shipping on all orders of $40 or more. Amazon’s Subscribe & Save program is largely for bulk orders. You receive a 5% discount for every subscription, or a 15% discount on all subscriptions when you have five or more active in one month. Amazon Pantry, on the other hand, is for single packages of everyday items. Don’t need a case of something? Pantry is your best bet. Just be sure to check out all the Amazon Pantry coupons, so you can save as much as possible. Overall, I think Amazon Pantry offers some great potential to save both time and money. I don’t love that you have to get a membership now to get the free shipping (and even then, that there is a $40 threshold). However, there are some really great prices at Pantry, so it may be worth it to you. Whether with the $4.99/month membership or the $7.99 flat-rate shipping fee. I myself just took advantage of the free Pantry membership to send my son some goodies at summer camp! As far as pricing, the products with the Prime Pantry Coupons definitely offer the biggest savings. Some of those products can certainly work out cheaper than buying them at your local grocery store or big box store — even with paying for membership and shipping. Of course, the best way to determine whether a money-saving program is worth it for you is to rely on your price book! What do you think of Amazon Pantry? Have you ordered from Amazon Pantry yet? What was your experience like? What great deals did you find? What tips can you recommend to others looking to save with Prime Pantry?